(NaturalNews) An article that I'm calling "the most important piece of investigative journalism yet published about Zika" has just appeared at Health Impact News. The article, found at this link, confirms and documents what I've been saying about Zika virus all along: It's all a grand quack science HOAX rooted in political agendas, not legitimate medical science. The article is written by John P. Thomas, and I'm reprinting a portion of it here while encouraging you to get the full article at Health Impact News. It reveals that just like every other mass hysteria pandemic propaganda campaign launched by the CDC, the WHO and Big Pharma, Zika propaganda is a "masterpiece of public mind control". Right on cue, Disney World has jumped on the Zika propaganda bandwagon and has started handing out DEET chemicals for parents to spray all over their children, oblivious to the scientifically documented fact that DEET chemicals cause seizures, comas and severe neurological disorders in children. Part of the hoax, of course, is that as those neurological symptoms begin to appear in children treated with DEET, they will be blamed on Zika as justification for more chemical bombardment of everyone. Here's the beginning of the article. Read the rest at this link at this link. 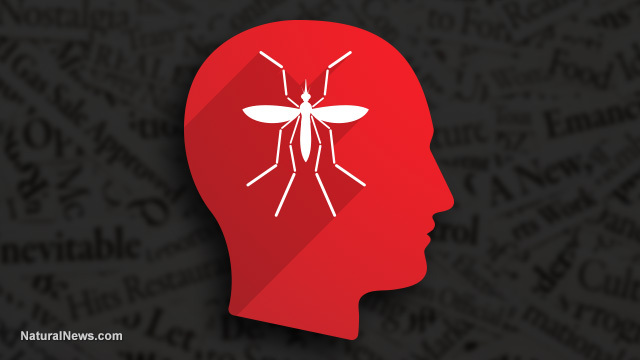 It's been nearly nine months since the word "Zika" flashed like a lightning bolt in the headlines of mainstream news. Before January 1, 2016, Zika was just one of many viruses that public health officials monitored. But suddenly in January of this year everything changed, as a nearly harmless virus was transformed into a worldwide threat. As we will see, the Zika propaganda machine was turned on in October of 2015 and it has been running wild ever since. This is a classic example of a mind control program, a public brainwashing project, or a high powered marketing campaign. Regardless of what you call it, it is clear that the mainstream news media, the World Health Organization (WHO), the Pan American Health Organization (PAHO), the US Centers for Disease Control and Prevention (CDC), Big Pharma, Big Chem, and both Republicans and Democrats have joined forces to sell a Zika eradication program to the people of the United States and to the rest of the world. This has been and continues to be one of the best orchestrated programs of propaganda in recent history. This article will discuss how the program started, how it has been developed, and where it is going. Just to be absolutely clear from the beginning, there is no solid evidence that Zika is a threat to humanity. It is a minimally dangerous viral infection, which does not cause microcephaly. In the almost 70 years since the Zika virus was patented by the Rockefeller Foundation,  no one ever notice any association between Zika infection of pregnant women and their babies being born with abnormally small heads or with defects in brain development. But in 2015, we were suddenly made aware of this supposed problem. This claim, based on nothing more than circumstantial evidence, was the beginning point for the propaganda campaign. A propaganda claim doesn't need to be true; it just needs to be repeated over and over again until people believe it is true. The fact that almost no one dies from Zika infection made it a very unlikely candidate for the development of a vaccine. For those who actually feel sick from a Zika infection, they can receive comfort care and rest while their immune systems overcome the viral illness. Continue reading the rest of this article at Health Impact News.